Facade of White Balance designed by Studio Bipolar. A powerful aspect of design has been to reimagine, in a way that the ancient complements the modern, the decrepit turns snazzy and dull interiors get a vibrant makeover. Keeping this transformative design potential in mind, Studio Bipolar has remodelled a 60s era pharmaceutical warehouse, into a new 6000 square feet office and film studio for a creative agency — ‘WhiteBalance’. Situated in the Okhla Industrial Area of New Delhi, the existing structure was one of dormant beauty. Be it the angular trusses supporting the asbestos roof or 14 inch thick exposed brick walls or the large mezzanine that covered almost two-thirds of the area. While these formed the crux of the design at the office they were further remodelled to reflect two simple concepts — ‘No Visual Obstructions’ and ‘One space’. So the mezzanine was demolished entirely to showcase the towering trusses overhead. Another smaller one was built intelligently to provide for maximum viewing angles while not acting as a barrier. The mezzanine continued from one hall to the other via another arched opening thus overlooking the large multifunctional studio space, which would be used for screenings, product shoots or even as a secondary workspace. An existing 2-inch thick wall which divided the space even further was removed to connect the office area horizontally as well as vertically. Adjacent Halls were interconnected through arched entries to create a workspace for the editing team. 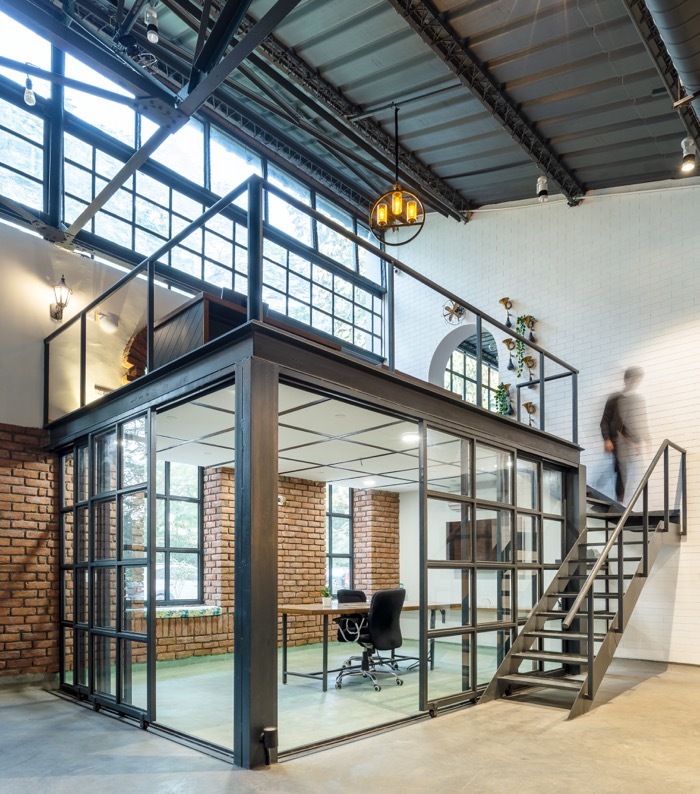 Following the ‘one space’ principle are two contrasting rooms; the sleeping nook created above the private editing suite for the team that likes to work late hours into the night and the conference room, which is tucked away under one half of the mezzanine. Its doors were made of mild steel angles and glass which could slide out thus making the space larger and providing acoustic privacy. Bricked arched windows allow for natural light to enter. Antique Trumpets from Chandni Chowk. 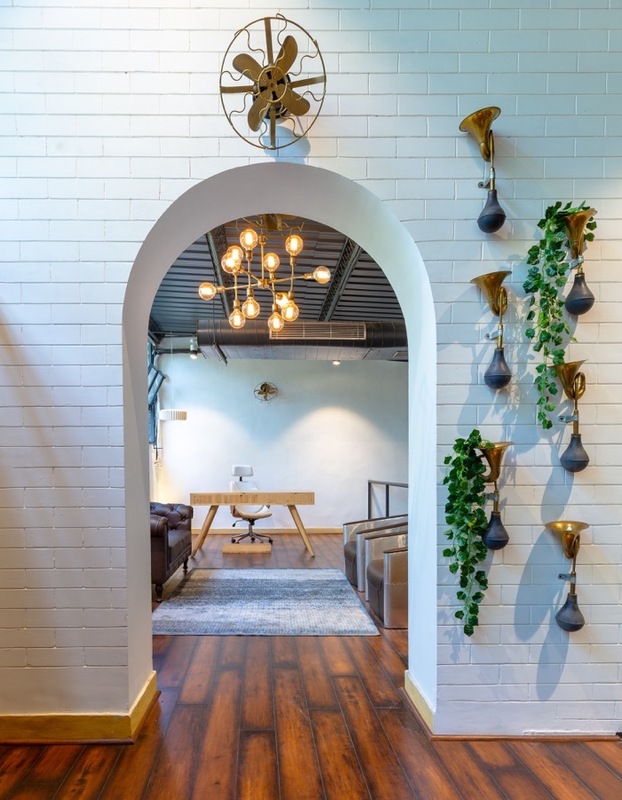 The design style of the office also emphasizes on providing as much natural light as possible with tall 15-foot-high brick arched windows made on one side of the workspace. 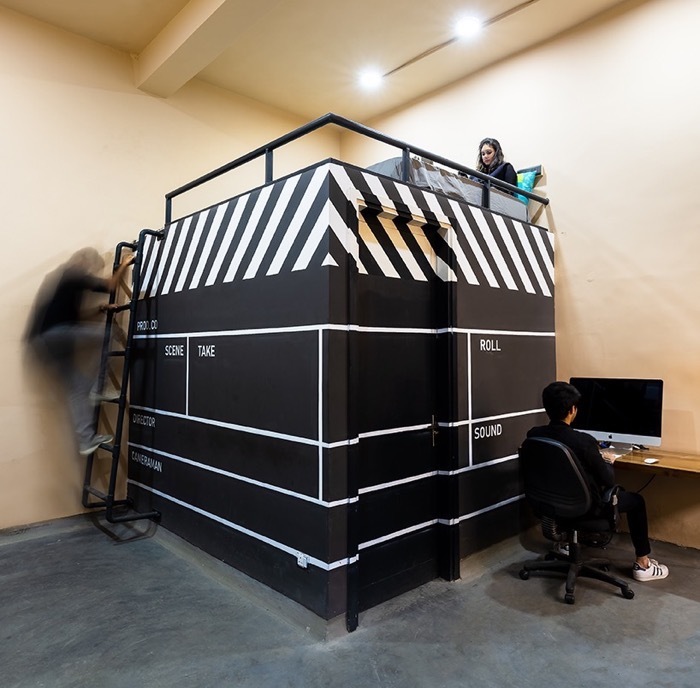 “The office serves as a landmark for the rest of the industrial area of New Delhi where true hidden gems reside, under the tin sheds of numerous abandoned warehouses, waiting to be adapted into something fresh and offbeat,” says Studio Bipolar. The freshness of the office also needs to be credited to the collaborative spirit of Studio Bipolar, where the architect and clients worked together; navigating the bureaucratic process as well as the design and construction phases. Like its previous projects, another consistency in Studio Bipolar’s design has been to energize workspaces in a way that positively benefits those who spend long hours in it. “This is where I feel most at home, enjoying intellectual, creative points of view and having a pulse on all the ongoing projects. 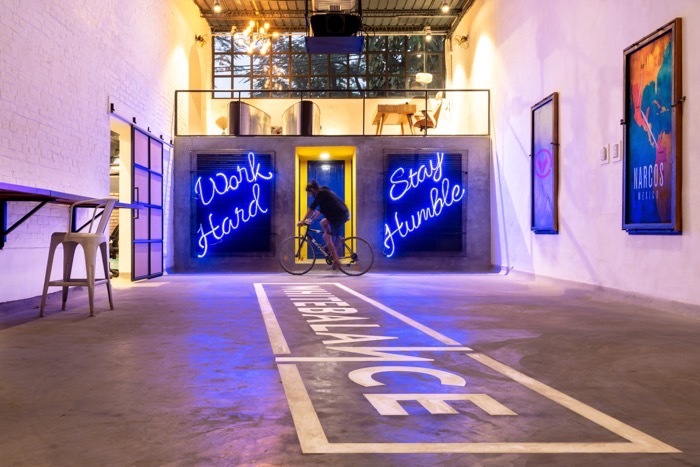 The energy and vibe of a creative hub are what defines the soul of the organization. 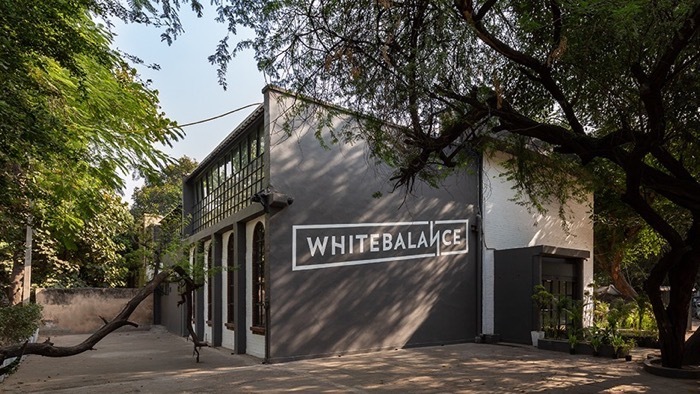 Being in this space, helps me to live in the NOW, yet giving me the vision of what next,” confesses Robert Godinho, founder and director of WhiteBalance which testifies that Studio Bipolar has yet again achieved this feat. Custom-made pipes fitted with tube lights.